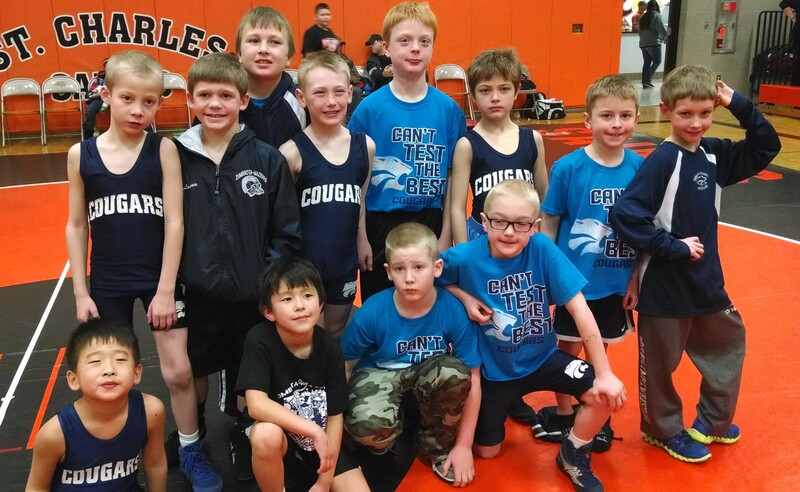 ZM had wrestlers in 3 different tournaments on Saturday. 9 wrestlers attended STMA Tournament of Champions with Caden Steffen, Jacob Bennett, Spencer DeFrang, and Hayden Stensland all placing 1st. Michael Vath, Hayden Voxland, Jarret Haglund, Sam Nordquist, and Luke Tupper all placed 3rd. 3 wrestled in the Eastview Freestyle Open. Joey Majerus went 2-0 and both Evan Block and Noah Prodzinski went 1-2. The K-6 team went 1-2 in the NYWA regional. The team beat Goodhue and fell in a pair of close duals to KW and GMLOK. The 7th and 8th graders will not be going to Rochester or Cannon Falls for FS/GR practices this week so they can focus on the NYWA team state tourney. There will be a K-6 open mat on Monday from 6-7:30. If your wrestler wants to practice Tuesday, Wednesday, or Thursday, have them line up a partner. The wrestling room will be open each of those nights but no organized practices after Monday. There are still several open weights for the NYWA Invite for anyone who wants another opportunity to wrestle. The deadline looks to be 10PM tonight so don’t wait! Z-M had 11 wrestlers place in the top 3 of their weight class at Regionals this weekend to advance to NYWA State. Champions included Gunner Mancilman and Jacob Bennett. Runners-up were Cain Lexvold, Jack Krier, Spencer DeFrang, Sam Nordquist, Caden Steffen, Garrett Huneke, and Michael Vath. Placing 3rd were Mason Edstrom and Luke Krier. Also earning a medal were Kyle Stensland and Gabe Tupper (4th), Kaleb Lochner, Ashton Macht, and Conner Heitman (5th), and Wyatt Freiheit (6th). NYWA Region team qualifier is this Saturday in Eyota. Here is the schedule for Saturday. Friday: Practice after school, 3:30 to 5. After practice we will car pool and weigh in at Kenyon. Saturday: NYWA Team Qualifier in Eyota. Team will meet in Mazeppa at 7:15. MN/USA Freestyle State Qualifier at Eastview HS. Be sure to RSVP to the end of the year party. I hope to see everyone there! Congratulations to Caden Steffen and Hayden Stensland for placing in the MN/USA Folkstyle Kids & Cadets State Tournament. Caden is the Schoolboy 160 lb State Champion. Hayden finished 6th at 112 lb Schoolboy. Several youth wrestled hard in Plainview at the NYWA district qualifier Friday night. 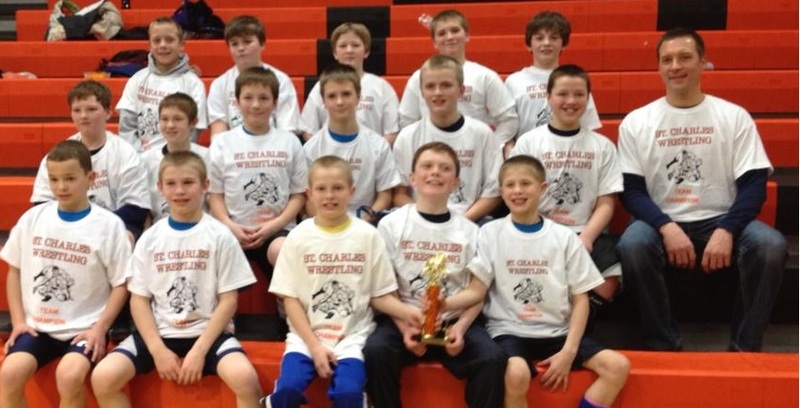 33 kids participated in the Goodhue Jaycees tournament on Saturday. And 5 others joined Caden and Hayden at the MN/USA State Tournament. It’s great to see this level of involvement, especially this time of year. Keep it up! Be sure to RSVP to Josie (youthcoordinator@zmwrestling.com) by Tuesday if you are planning on attending the roller skating party on Sunday. Monday: PreK thru 3rd practice from 5:30 to 6:30. 4th thru 6th from 6:30 to 7:30. This is the last practice before we combine all grades for open mat. Thursday: Open mat 6:00-7:30 for all grades. Friday: NYWA District Qualifier in Austin. Saturday: NYWA District Qualifier in Stewartville. K-11th Caledonia Open. Sunday, March 16th: Roller skating party at the Belle Creek Roller Rink at 1:00 PM. Congratulations to Joey Majerus, Cody Heitman, and Hunter Prodzinski for advancing to the Individual State Tournament! Also placing for the Cougars were: Hayden Stensland (4th), Freedom Hunt (6th), Devin Manzy (6th), Dillon Downes (4th), Noah Prodzinski (4th), Seth Tupper (3rd), and Shane Bode (6th). The first NYWA qualifiers are next Friday. There is a Jaycees qualifier in Goodhue next Saturday. Let’s finish the season strong! Youth activities for this week are below. Monday: Youth practice. PreK thru 3rd from 5:30 to 6:30. 4th thru 6th from 6:30 to 7:30. We will be taking individual and group pictures. Please wear your sapphire t-shirts for the group photo and a singlet is suggested for an individual photo. You will be able to order pictures through Shutterfly. Thursday: Open mat 6:00-7:30 in Mazeppa. State Team Tournament at Xcel Energy Center. State Tournament details here. Friday-Saturday: State Individual Wrestling Tournament at Xcel Energy Center. Sunday, March 2: Youth Open in Waseca. The youth program had a good showing in St. Charles on Saturday. The youth senior team took 1st place and the junior team went 1-2 on the day. A great experience for our young guys. A reminder that tomorrow night is our 100 takedown fundraiser. Let’s try to reach our goal to earn the pizza party and chance to see Coach Krier on roller skates! Congrats to the JV team for winning the HVL JV tournament in Lake City Saturday. Go cheer on the varsity this week to keep the momentum going. Monday: Youth practice. PreK thru 3rd from 5:30 to 6:30. 4th thru 6th from 6:30 to 7:30. We will be doing 100 takedowns. Thursday: Tournament time! Go watch as the opening rounds of varsity team duals begin. Exact seeds are not known yet, but expect a Cougars dual in Mazeppa around 7 PM. Saturday: Section semi-final and championship varsity team duals at Mayo Civic Center. Section 1A semi-finals start at 12:30. A great atmosphere to watch wrestling. Sunday, February 16: Youth Open in Ellsworth. USA card required and available on-site. Another HUGE thank you to our volunteers on Friday and Saturday with the JV tournament. We heard many positive comments. And congrats to the JV team on placing 3rd. Youth wrestling activities for this week are below. A reminder that Monday, February 10th is our 100 Takedown Fundraiser. Monday: Practice. PreK thru 3rd from 5:30 to 6:30. 4th thru 6th from 6:30 to 7:30. Friday: Open mat from 6:00 to 7:00 PM for all grades. Youth Open in Chatfield. Only a few local Saturday tournaments remain before NYWA starts. Youth Team in St. Charles. Team will meet in Mazeppa at 7:15 AM. Sunday, February 9: MN/USA State Qualifier in Lake City. Our home youth tournament is this Friday night at the high school in Zumbrota. If your wrestler is participating (we encourage everyone to do so and entry fee is covered by the club), we need their signed registration form Monday night at practice. You can print off a form here. Youth wrestling activities for this week are below. Thursday: Open mat from 6:00 to 7:00 for all grades. Friday: Home tournament. Please arrive at 5:30 for skin and nail check. We have weights from registration night and will be weighing kids at practice on Monday for those we missed. Wrestling starts at 6:30. Saturday: Go watch the JV/V in Zumbrota for their home tournament! Sunday, January 19: Youth Open in Hayfield. As explained in practice last Monday, we are having a friendly competition by charting how many practices and tournaments each kid attends. There is a bulletin board to the immediate right when you enter the wrestling room. Before or after practice the kids can shade in a square for that practice or a tourney they attended over the previous weekend. We will be recognizing the top participants at our end of the year party. 21+ youth wrestled in open tournaments this weekend. In Eyota on Saturday were: Gunner and Tanner Mancilman, Sam and Isaac Moore, Ben and Landon Flaaen, Cain and Ryan Lexvold, Kaleb and Blake Lochner, Ionee and Beau Jurrens, Ben Murray, Nathan Haltom, Jack Haglund, Jack Smothers, Kevin Majerus, Ashtom Macht, Ethan Kovars, and Henry Morgan. Cole Poncelet wrestled in Mankato. 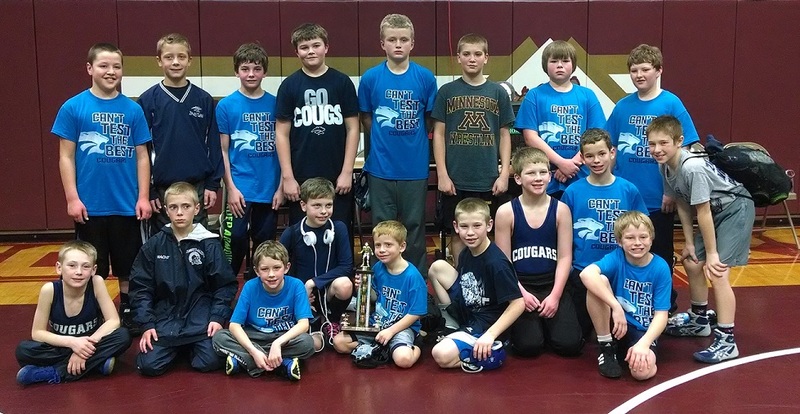 The ZM youth team wrestled in Chatfield on Sunday and placed 2nd! What an exciting day of wrestling! From row: Lucas Schiell, Ashton Macht, Jack Krier, Mason Edstrom, Jent Beyer, Gabe Tupper, Sam Nelson, John Poulin, Beau Jurrens, Michael Majerus. Back row: Tanner Mancilman, Ethan Kovars, Cole Poncelet, Spencer Krohn, Jack Haglund, Andrew Banitt, Kevin Majerus, Luke Krier.